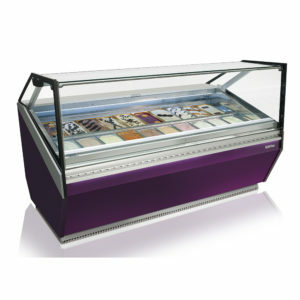 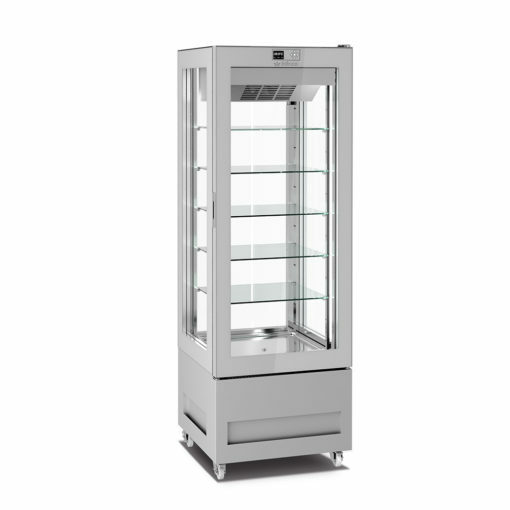 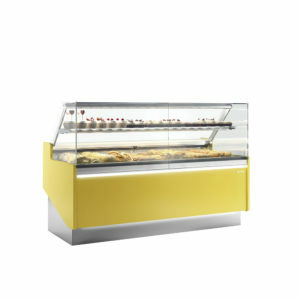 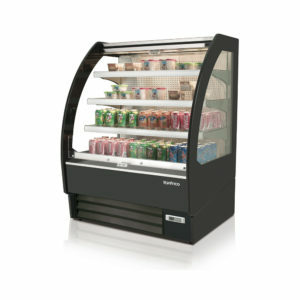 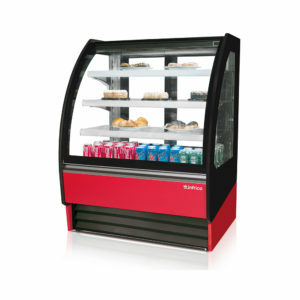 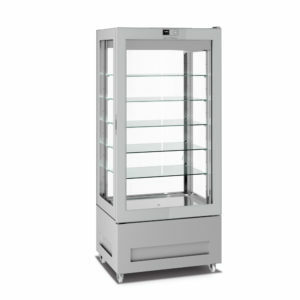 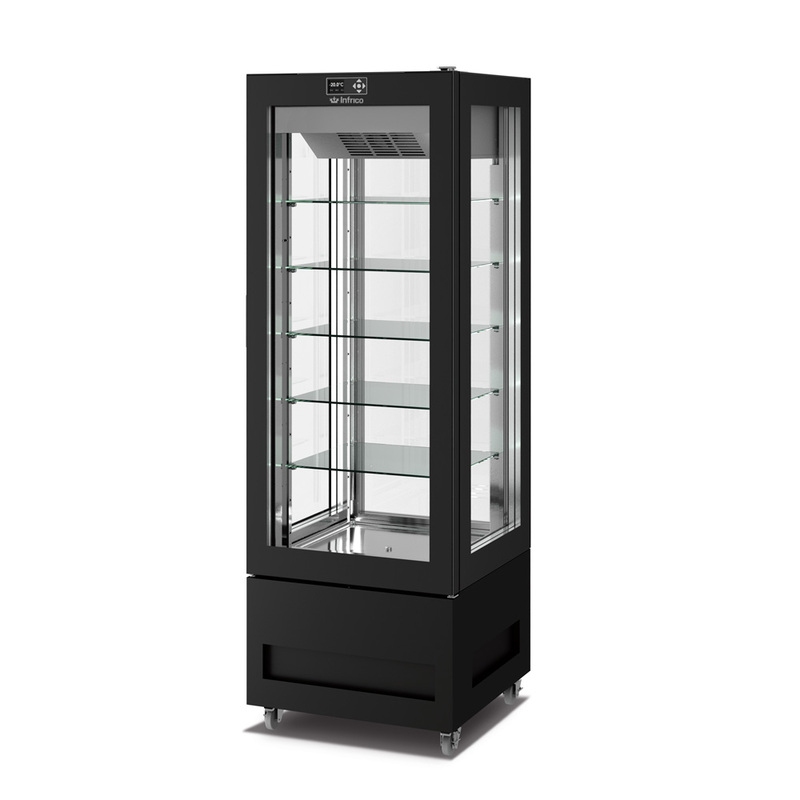 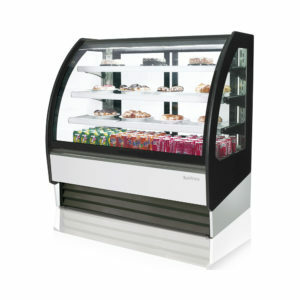 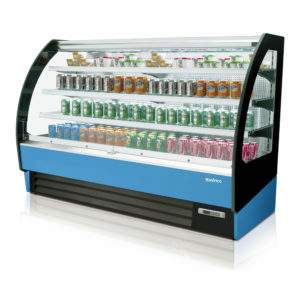 – Line of showcases with ventilated cooling, with temperature range for Pastry or Ice cream (+ 41ºF to -4ºF). 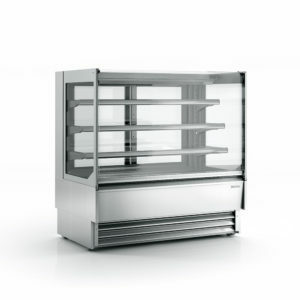 – Glass shelves adjustable in height. – Available in 4 sides of glass with standard decoration in SILVER QUARTZ.